Pumpkin seeds, also known as pepitas, are nutty tasting, crunchy, chewy and slightly sweet on their own. Add sea salt, herbs or spices to create different flavor variations. They’re a terrific snack by themselves, but they’re REALLY GREAT in a bowl of soup or tossed into a salad, sort of like a healthy crouton substitute – crunch and flavor. 2. 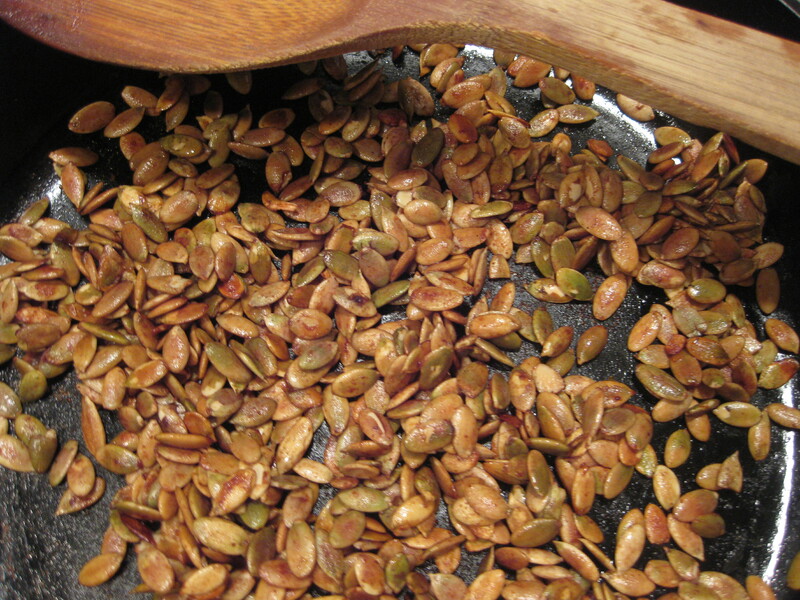 In a small mixing bowl, toss pumpkin seeds with olive oil until evenly coated. 3. Add all spices into the bowl and toss again. 4. Bake on a cookie sheet for about 20 minutes on the middle rack of the oven. Stir the seeds a couple of times during cooking.